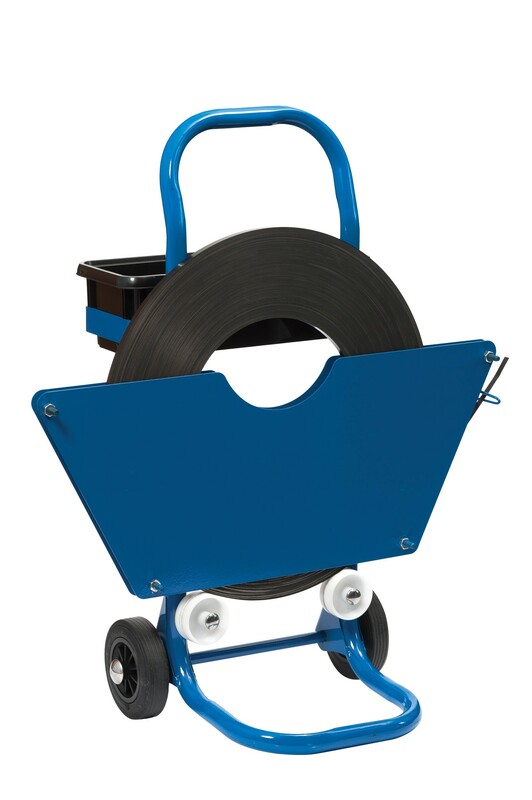 The mobile dispenser for ribbon wound steel strapping by Safeguard® is a handy piece of equipment for use in industrial businesses. Designed to hold a reel of ribbon wound steel strapping for use on palletised goods. The dispenser itself is strong and durable and features wheels to the bottom so that it can be moved with ease from one location to another. It also features a plastic tote which can be used to hold seals and tools that are needed for strapping.